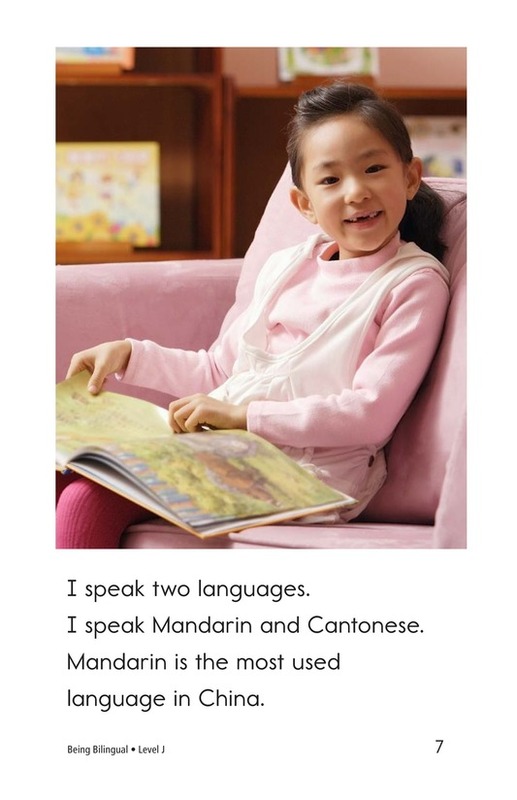 Many people all over the world speak two languages. 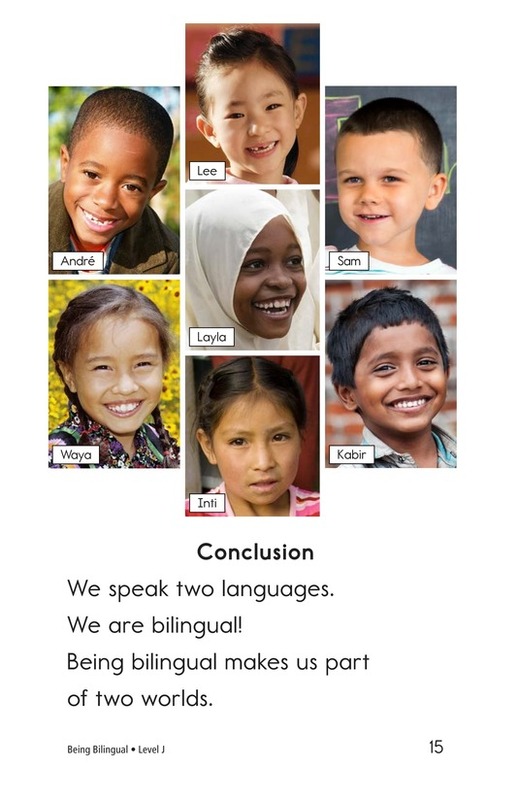 They are bilingual. 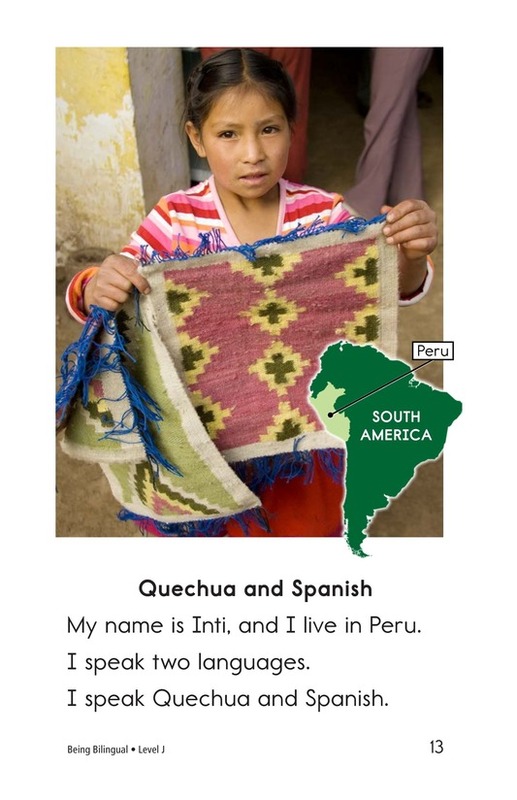 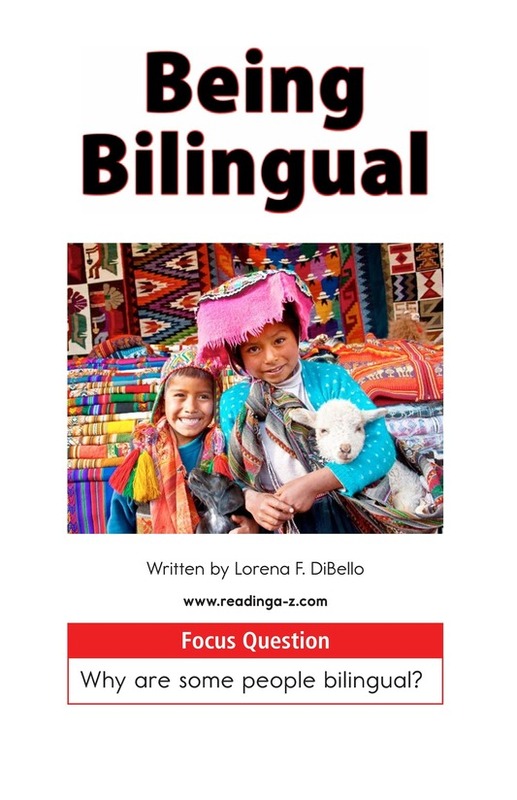 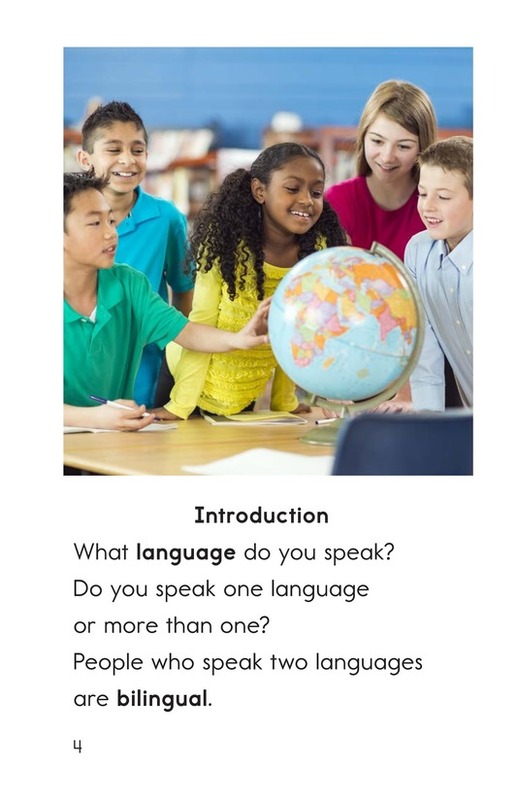 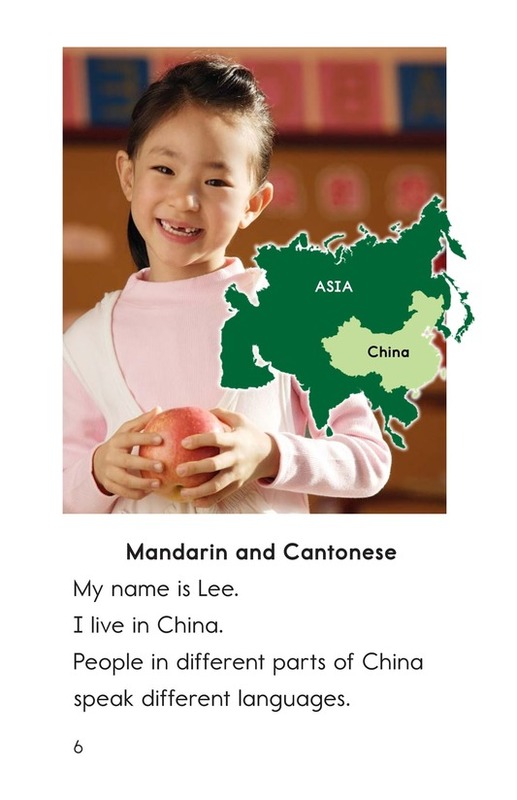 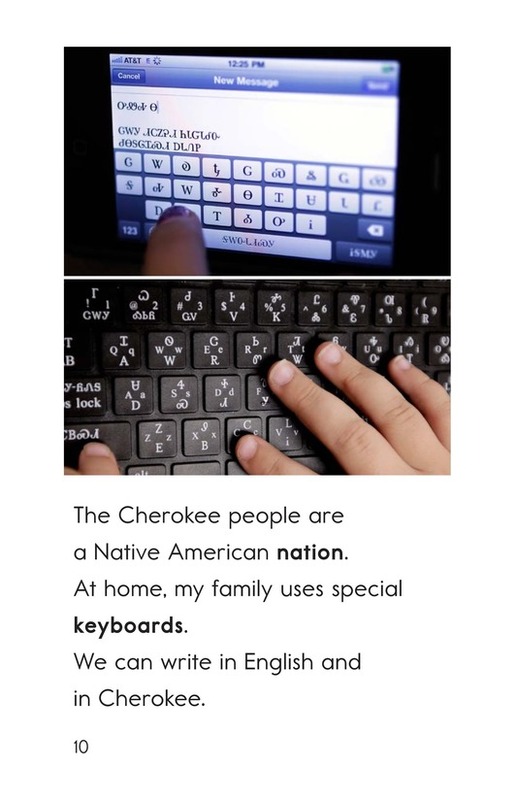 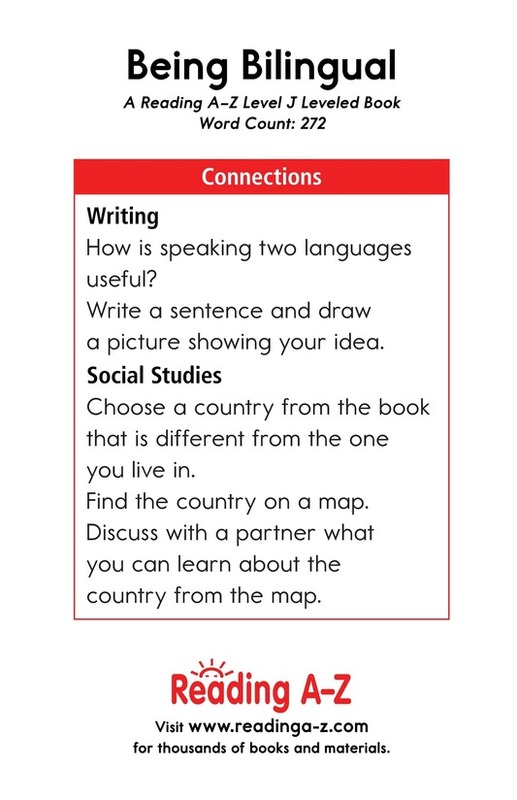 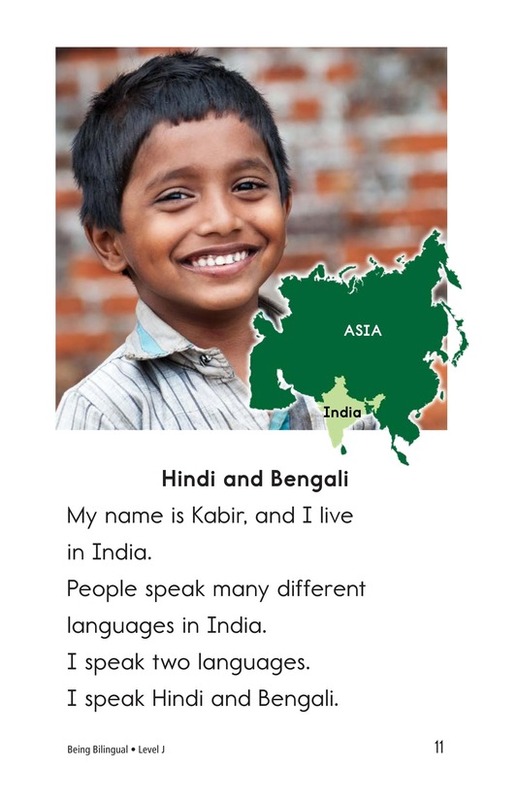 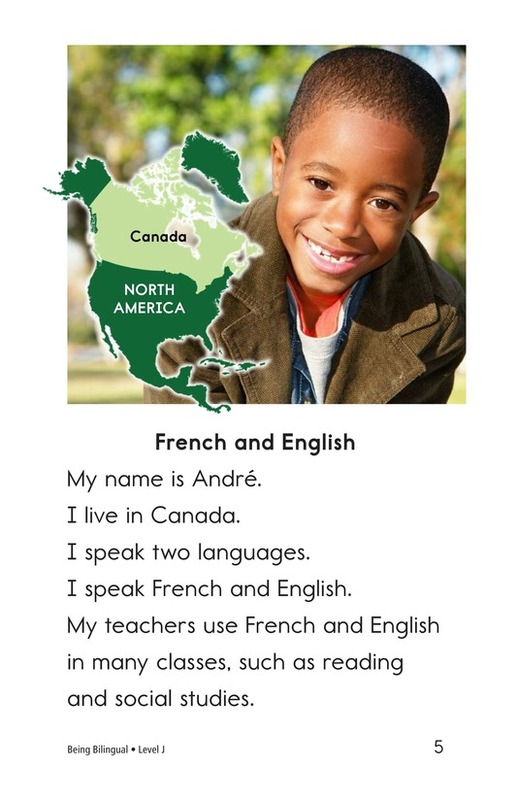 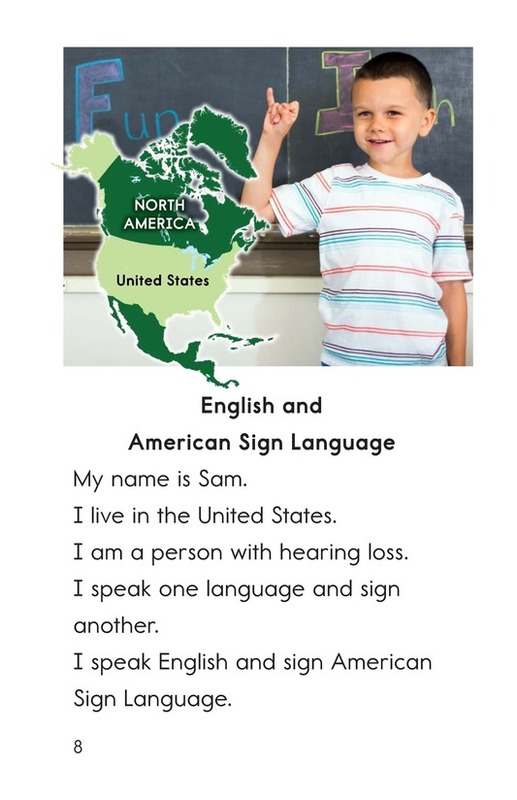 In Being Bilingual, readers meet children from different cultures and learn their names and the languages they speak. 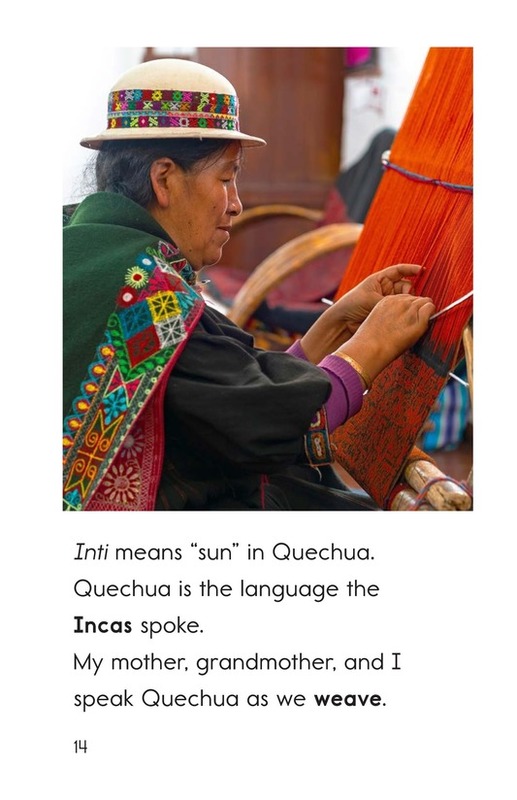 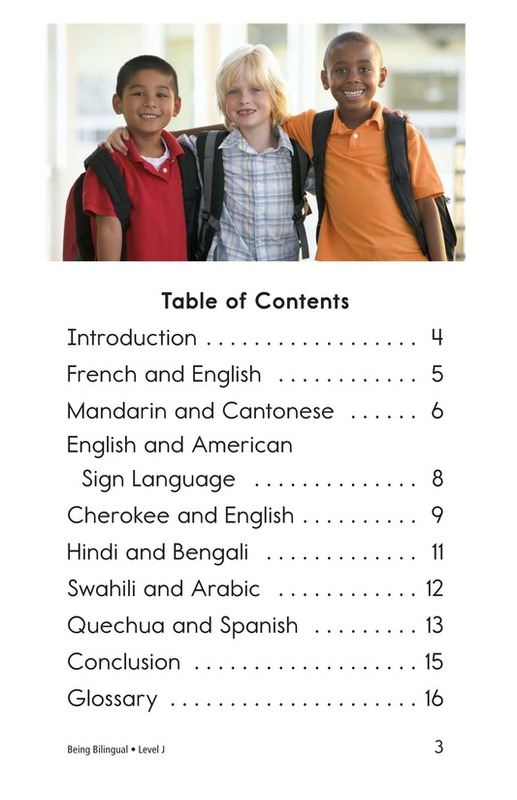 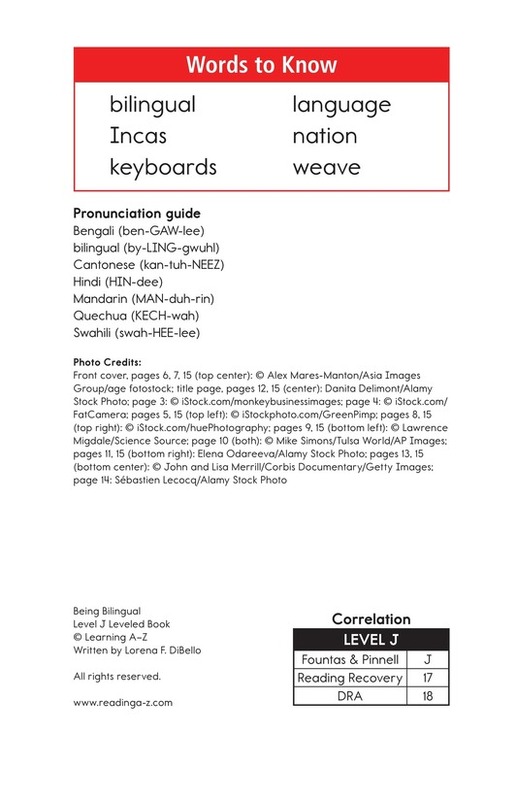 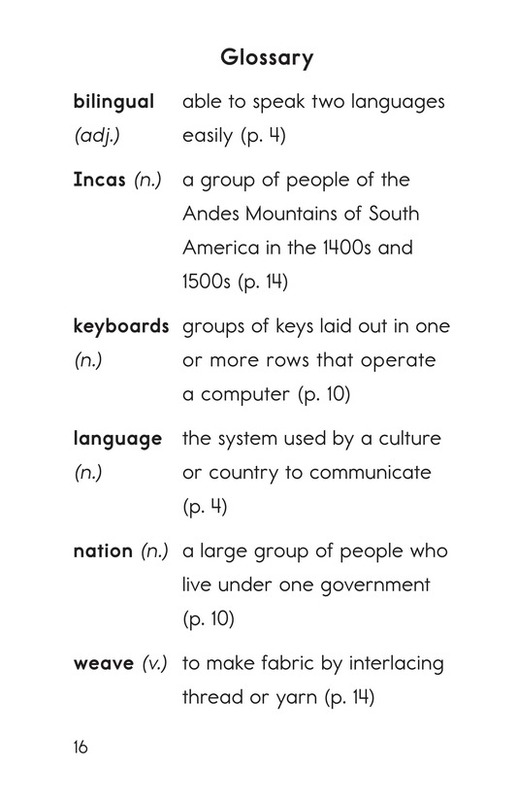 A pronunciation guide, glossary, and table of contents are included to support readers.